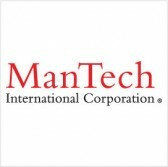 ManTech International has secured an $11.2 million contract option to continue support work on the U.S. Navy‘s Ship Maintenance and Logistics Information Systems program. The exercised option covers engineering support in areas such as information technology life cycle planning, operations, sustainment, documentation, program management, application technical refresh, testing and training, the Defense Department said Wednesday. Work will occur in Virginia, California, Pennsylvania, Washington, Maine, Alabama, Louisiana through April 2017. The Naval Sea Systems Command is the contracting activity and obligated $1.9 million from the military branch’s fiscal 2017 operations and maintenance funds at the time of award. ManTech was awarded a potential $47 million contract modification last year for systems operation and sustainment support to the SMLIS program.